The exclusive Nashville VIP music experience for corporate and private groups! Join a Star in the studio! Join #1 Billboard recording artist Meghan Linsey from NBC's mega-hit tv show The Voice and Nashville record producer Tyler Cain on the ULTIMATE interactive Nashville recording studio experience! You will go behind the scenes of a real recording session with a CMA and ACM nominated recording star! You'll experience an intimate acoustic performance with songs and stories, an interactive Q&A, get the chance to record a group vocal with Meghan, and even get your photo with her afterwards on the studio tour red carpet! CONTACT US for groups larger than 15 guests. Don't miss this once in a lifetime opportunity! **Dates are limited. Tour start time can be flexible based on need. 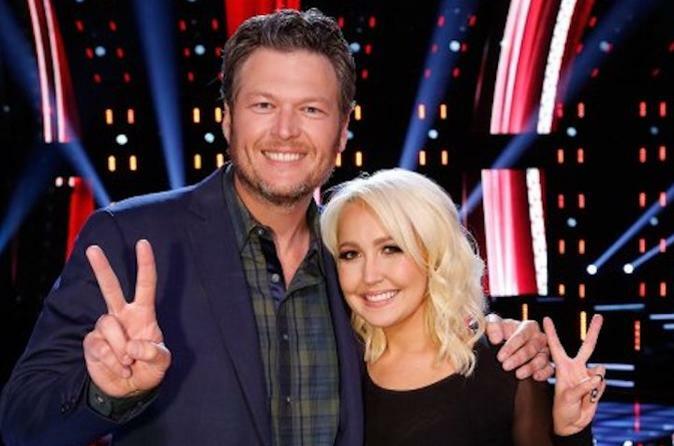 Hang with NBC's the Voice Star Meghan Linsey and Nashville record producer Tyler Cain during this interactive, Private 2 hour Nashville recording studio experience. Meghan and Tyler will take your group on a journey and show you the inner workings of a real music studio.There are a lot of moving parts when it comes to recording a song; Tyler will guide you through the recording process, showing you how it all comes together and answering all of your behind the scenes questions as they come up. Your Private small-group will be in the room for a live vocal recording session featuring #1 Billboard recording artist, Meghan Linsey. After the recording session you'll go behind the mic to lend your vocals to a group recording with Meghan. We'll even send you home with a MP3 to remember this once in a lifetime opportunity. Next, you'll be guided into the performance room where you'll enjoy an intimate acoustic concert with Meghan and Tyler on the Bold Music acoustic stage.The duo will sing songs and tell the stories that inspired them. Meghan will also sing a few favorites that she performed on The Voice and give you the exclusive inside track about her experience on the show. After the concert, there will be time for photos with Meghan and Tyler on the studio tour red carpet, and we'll also send you home with a personalized signed 8x10 and a CD bundle.This is an experience you don't wanna miss!